In this post I’m going to share with you a few links to some beautiful Valentine ideas and craft tutorials. I figure that late January is the time to start thinking about making Valentines if you have class sets to make. If you’ve got more than one child in school, and about 30 classmate for each child, well, that’s a heck of a lot of love that you have to create before Valentine’s Day! I’ll start with a few of our own projects. 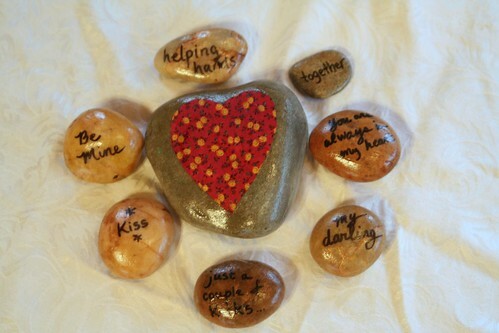 Here is an easy way to use up any fabric scraps you might have lying about your sewing basket: Valentine Stones. I made these for my family but they could be for classmates, too. Each stone has a fabric heart on one side, with a message of friendship on the other. 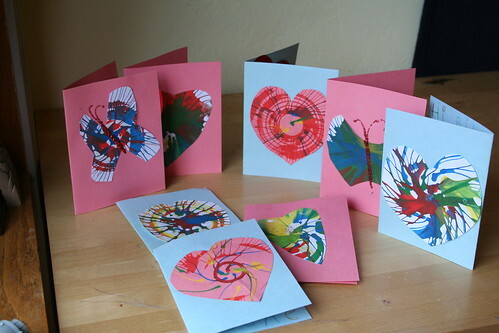 These Spin Art Valentines were created using a Spin Art painting toy. 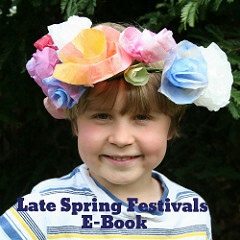 These are a little labor-intensive if your child is young. But the results are quite beautiful and each one is unique. I didn’t write out a full tutorial for these, but I think you get the idea from the photo. Spin the paint. When paintings are dry, cut out hearts or butterflies. Glue them to cards. I’ll spare you the Crayon Heart Valentines. They’re all over the internetz. They are fun to make, though. 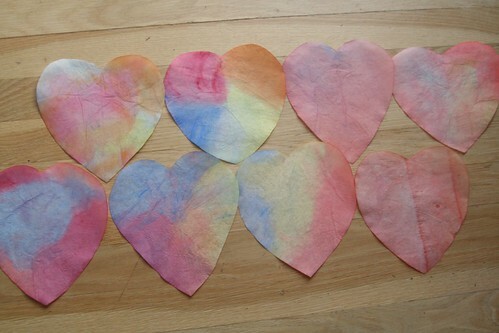 These Rainbow Valentines are painted coffee filters. 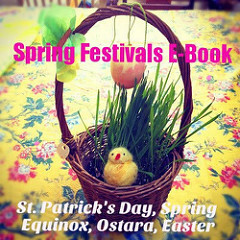 They are easy even for the smallest children to make. Simply paint three or four colors of Stockmar watercolor paints onto painting paper or coffee filters. Allow the paintings to dry on a flat surface. When they are dry, cut paintings into smaller pieces, if necessary, and then fold each one in half and cut a heart shape. Add the child’s name to the back or a simple message, such as “You warm my heart.” Older children can embellish the fronts of their rainbow hearts with some glitter glue, or sew them onto colored cardstock with a needle and embroidery floss to make lovely Valentines. 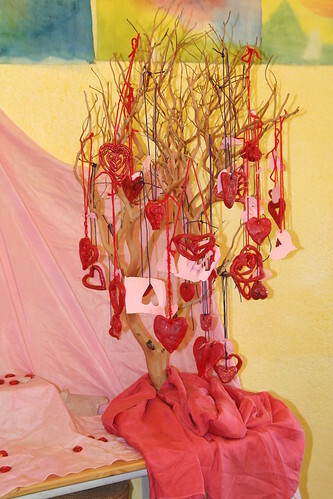 Make a Valentine Tree and decorate it with beeswax hearts! Use pink, red, and white modeling beeswax to make pretty heart ornaments. Warm the beeswax in your hands or place in a pot of warm water for a few minutes to soften it up. Give each child a chunk of softened beeswax and ask them to make a heart. It can be solid, or just an outline, one color or several. Thin “snakes” of beeswax can be braided together and then formed into a heart shape. As the wax cools, it will stiffen and keep the shape you make. Poke a hole in any solid hearts. 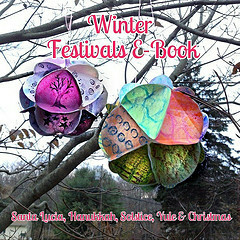 Add a ribbon or yarn loop for a hanger and then hang all the pretty hearts on a bare tree branch in a vase. 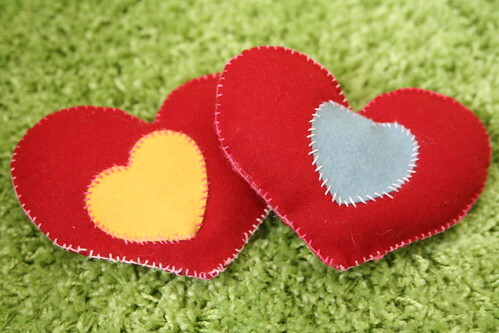 I made these little Valentine Pillow Sachets for my kids one year. They are wool felt and stuffed with wool batting, lavender flowers and some essential oil. My boys keep these little pillows in their beds. And although they do get lost among the bedclothes, when they are found again my kids always take a long sniff. Even after several years, they still smell great. 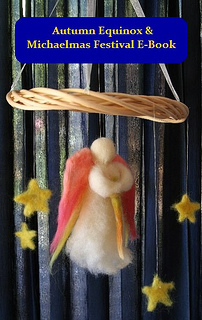 An older child can practice handwork skills by making one of these for a best friend, perhaps. 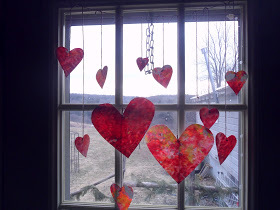 Here is a great tutorial for shaved crayon hearts (suncatchers?) by my friend Marcy at A Simple Life. I’m very tempted to do these this year. I think these look great in the window. 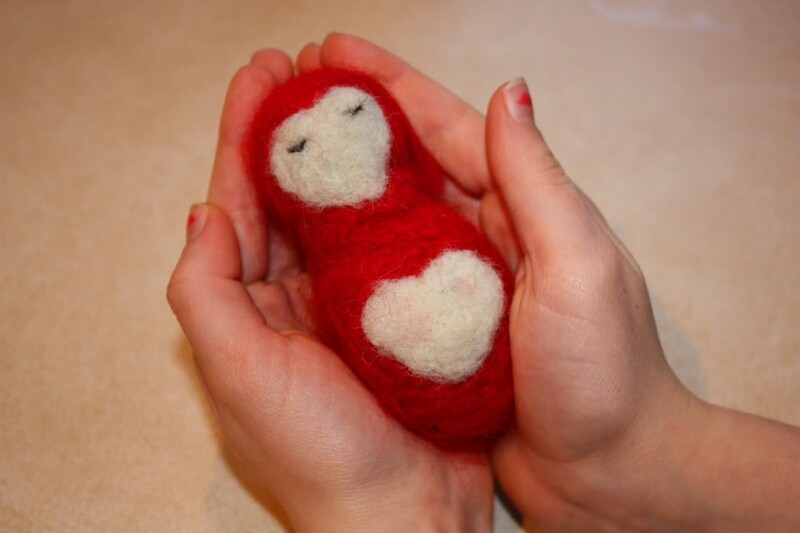 Eileen at Little Acorn Learning shares a sweet Little Heart Baby tutorial here. 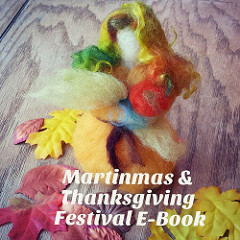 This little doll would be a perfect gift for a child or a teacher, and would make a charming addition to a classroom or home nature table. what a wonderful bunch of love crafts! i am every excited this year for V day. i saw on pintrest this family who made a whole bunch of hearts and hung them on yarn all down the hallway so you had to walk thru a bunch of hanging heart with love notes on them. i was toying with doing that and adding in the wax paper heart as well. so much fun!